Comments: This hemlock has needles that are spirally ranked and in bundles of two. On the underside of the needles there is a cream colored band down the center. 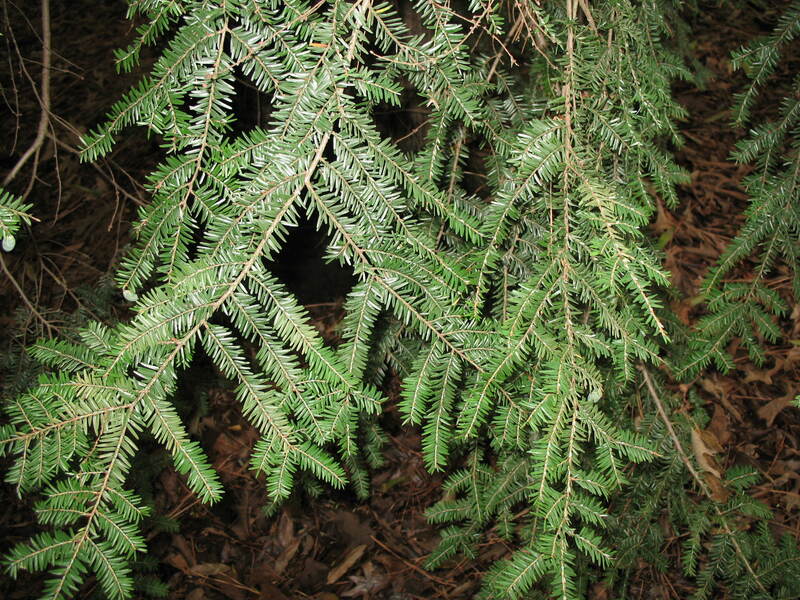 The hemlock can be used as a specimen tree or as a privacy screen when planted close together. This confier cannot tolerate hot, humid conditions.